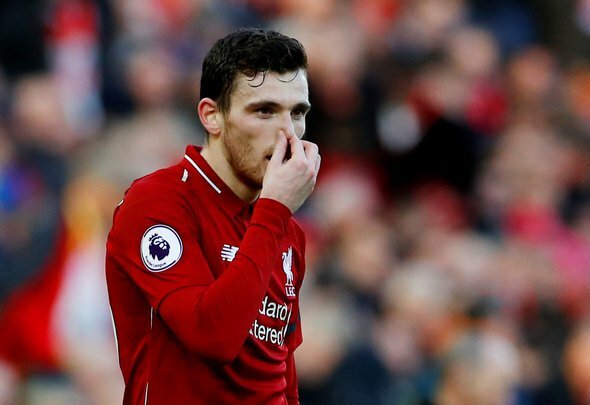 Liverpool left back Andrew Robertson produced yet another terrific performance for the Reds in their comfortable 3-0 win over Bournemouth on Saturday. As usual the Scotland captain was involved from start to finish, marauding up and down the left hand side and causing trouble for the Cherries with his sublime crossing. The highlight for him was, of course, his beautiful pass to send Georginio Wijnaldum on his way for Liverpool’s third goal, with the Dutchman somehow managing to produce a finish that was even better than Robertson’s assist. The former Hull City man was imperious at Anfield, proving that he is as solid defensively as he is going forward. The visitors never really troubled Jurgen Klopp’s team, and that was down to the efforts of players like Robertson. He really has solved a long-time problem position for the Reds and showed once again on Saturday just how important he is to this Liverpool team. Robertson has been excellent too. Tackle to Ibe from behind and another one in the box. #LFC Robertson an unbelievable player???????????? Robertson MOTM so far, amazing passes and in clearing the ball, stunning! Andy Robertson would have gotten into prime Barca's team.